It is curtains down for Maharashtra and Haryana assembly polls. Here’s a look at political biggies, who made it and who didn't. 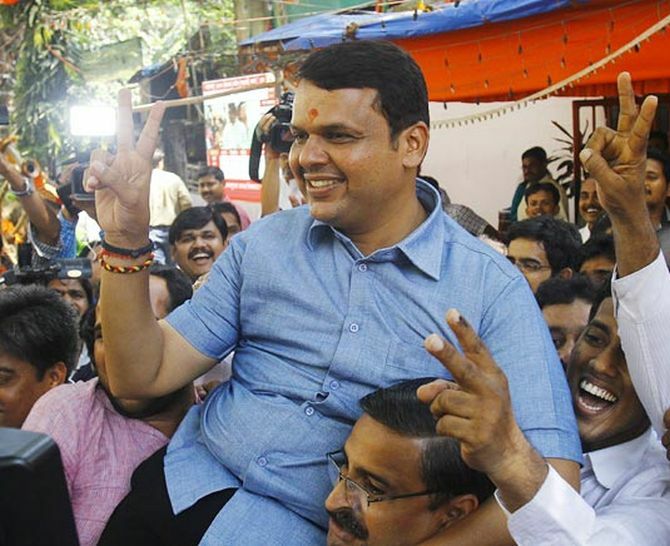 Bharatiya Janata Party’s Devendra Fadnavis, who is a favourite for the top job in Maharashtra, wins from Nagpur South West. Pankaja Munde, MLA and daughter of late BJP leader Gopinath Munde, wins from Parli constituency in Beed district. 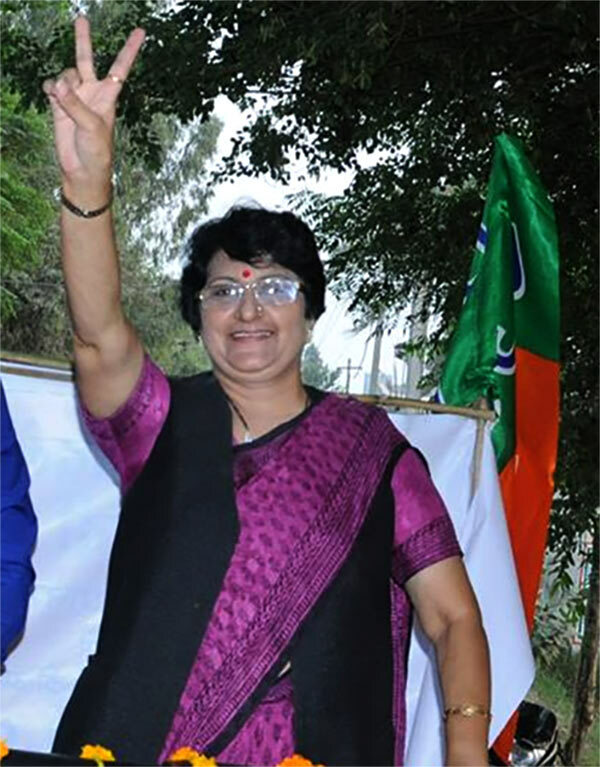 She defeated estranged cousin Dhananjay Munde of the NCP. 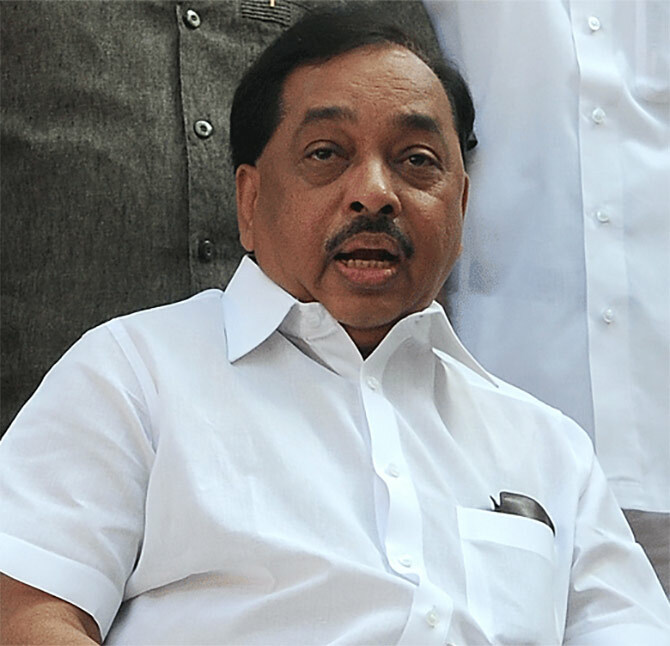 Former chief minister Narayan Rane loses from the Kudal seat of coastal Konkan. He lost to Shiv Sena's Vaibhav Naik. "I accept the defeat. People of Konkan brought me into politics and gave me a chance to serve them. Now they have handed me my first electoral defeat," he said, speaking to reporters in his constituency. 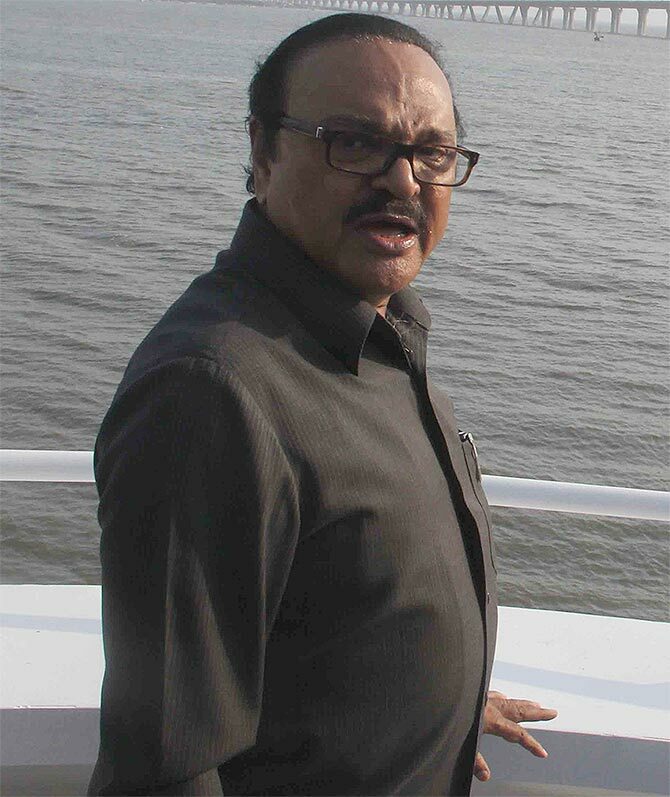 Nationalist Congress Party’s Chhagan Bhujbal wins in Yevla, Nashik by defeating his nearest rival Sambhaji Pawar of Shiv Sena by 46,442 votes. 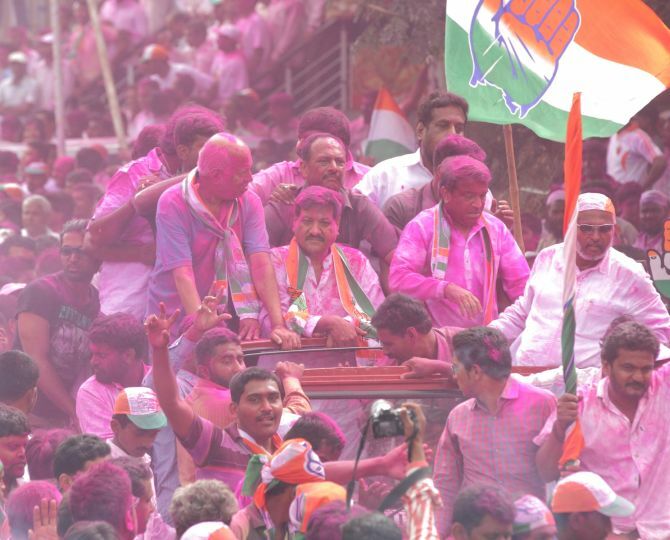 Former Maharashtra chief minister Prithviraj Chavan wins from Karad South. 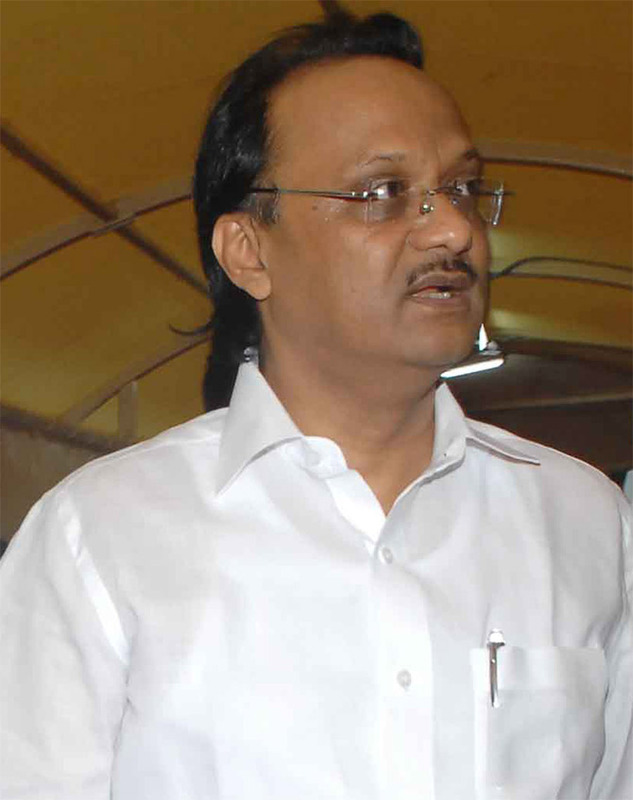 Former deputy chief minister Ajit Pawar of the NCP wins from Baramati. 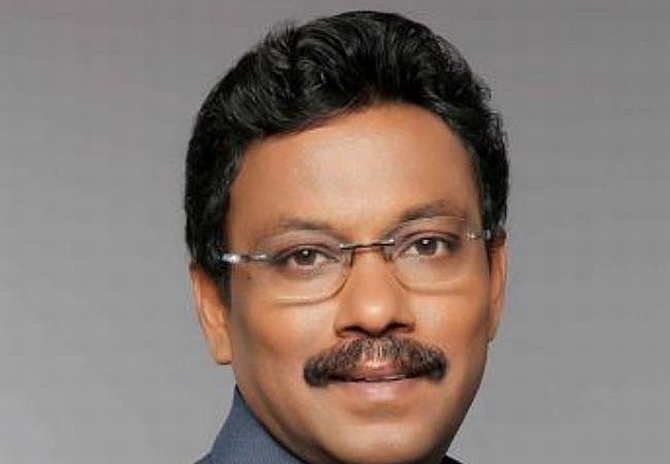 BJP's Vinod Tawde wins from Borivali, Mumbai. Captain Abhimanyu, touted as BJP's CM candidate in Haryana, wins in his constituency Narnaund. 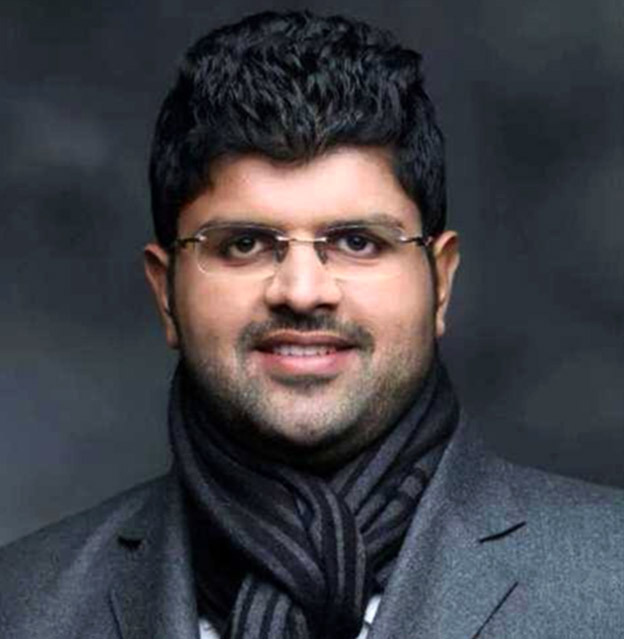 Dushyant Chautala of Indian National Lok Dal, grandson of former chief minister Om Prakash Chautala, who is also sitting MP from Hisar, loses in the Uchana Kalan assembly constituency to BJP's Prem Lata, wife of senior saffron leader Birender Singh. At 26, he is the country's youngest MP. BJP's Vandana Sharma, younger sister of External Affairs Minister Sushma Swaraj, loses to Jasbir Deswal, an Independent candidate, by a margin of 1,422 votes from Safidon seat. 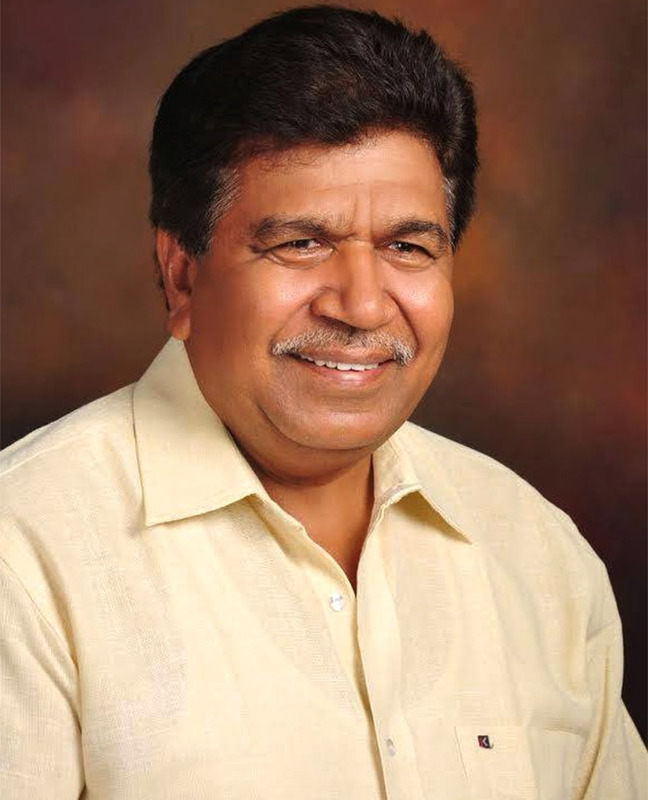 Former Maharashtra deputy CM and NCP strongman R R Patil wins in Tasgaon. 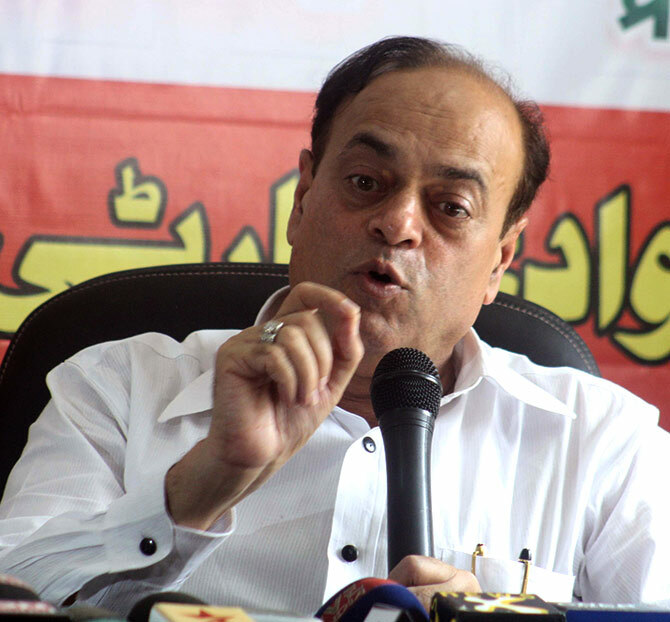 Samajwadi Party's Abu Azmi wins from Mankhurd. 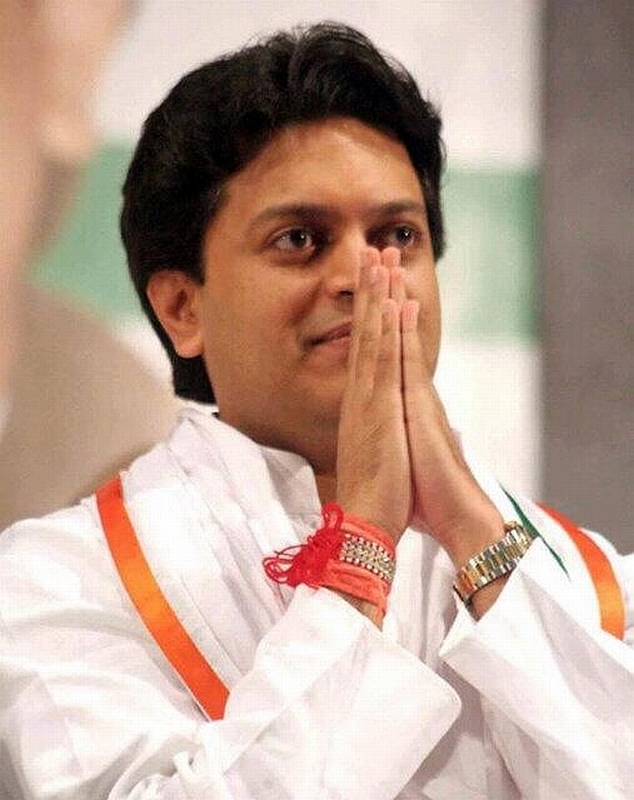 Congress’s Amit Deshmukh wins from Latur City. 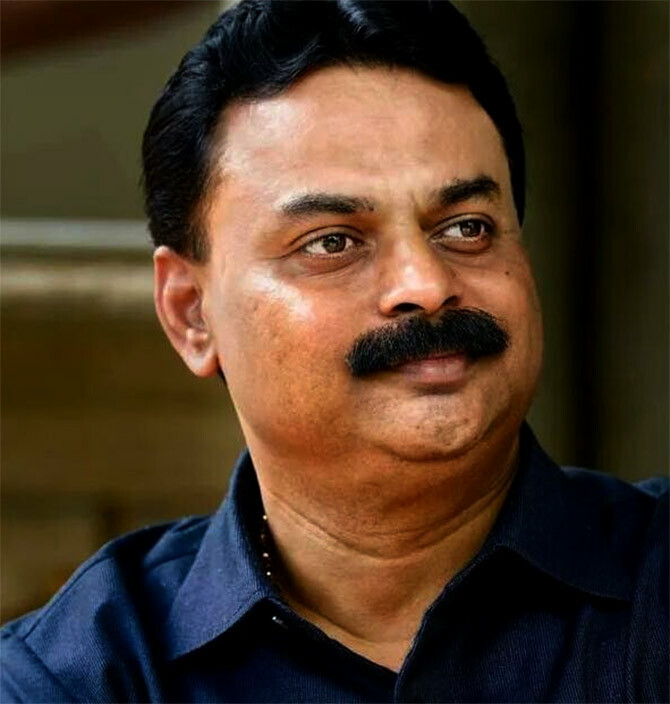 He is the son of late Vilasrao Deshmukh, who served as a Union minister and Maharashtra chief minister. 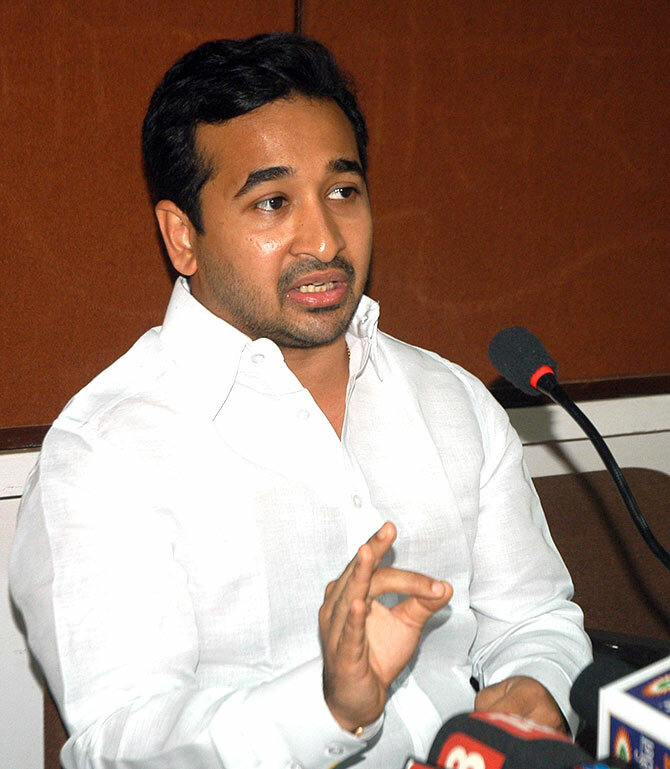 In Kankavli, Nitesh Rane of the Congress wins. 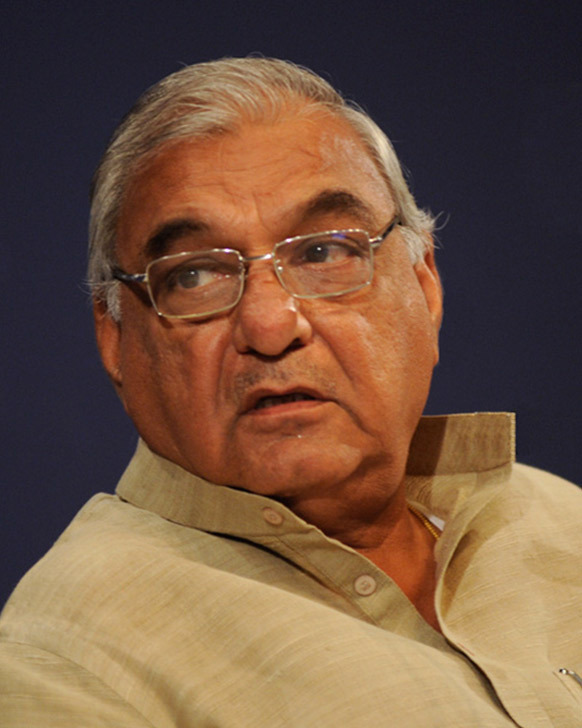 Haryana Speaker Kuldeep Sharma wins from Ganaur. 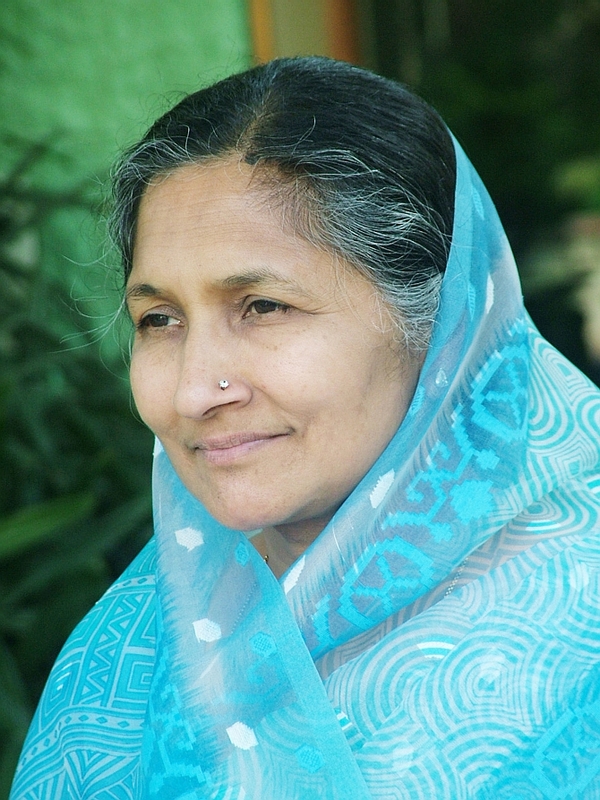 Savitri Jindal, considered India's richest woman, also the mother of Congress MP Naveen Jindal, loses in her hometown Hisar. 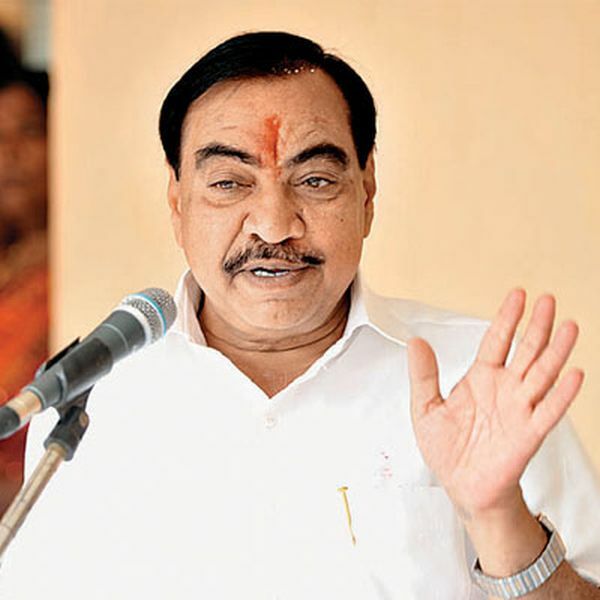 BJP’s Eknath Khadse wins from Muktainagar, Maharashtra. 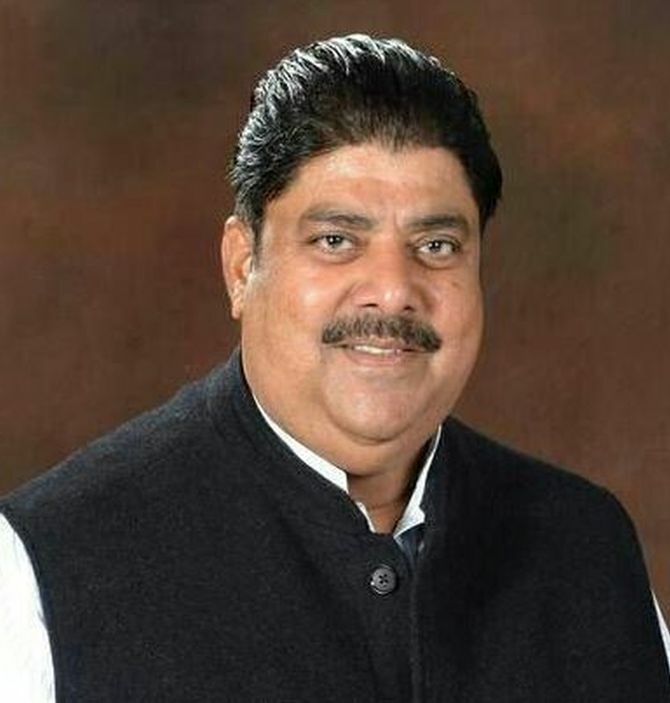 Senior INLD leader Abhay Singh Chautala defeats Pawan Beniwal of the BJP by 11,539 votes from Haryana's Ellenabad constituency. 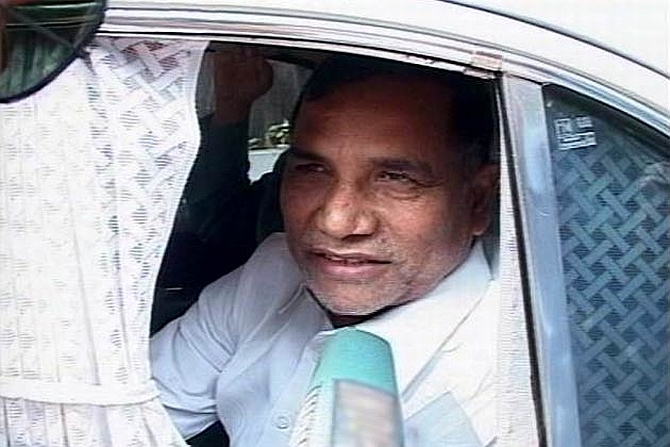 Congress' tainted former minister Kripashankar Singh loses from Kalina in Mumbai. 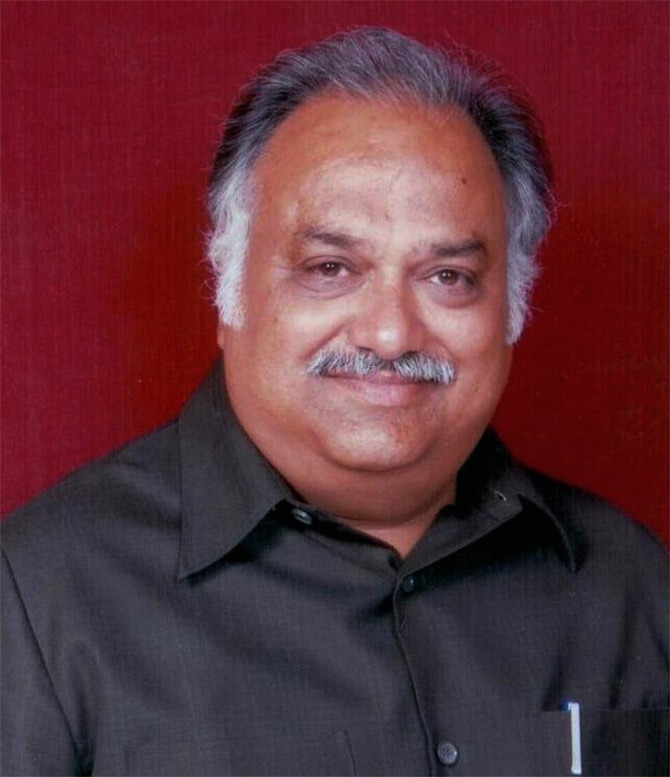 Former Mumbai mayor Sunil Prabhu wins from Dindoshi, Mumbai. 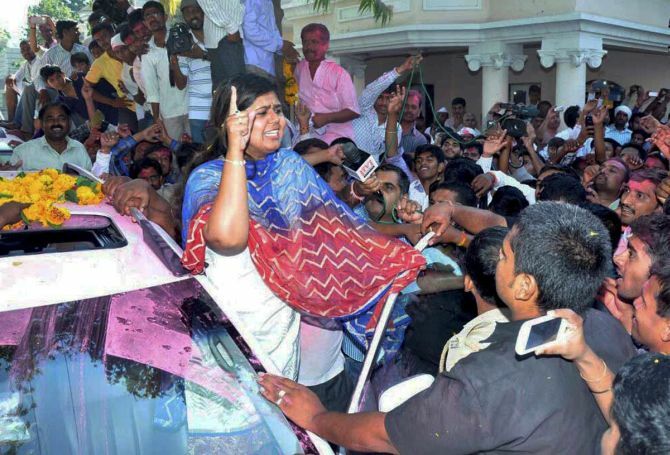 Praniti Shinde, sitting MLA from Solapur City Central constituency, wins. She is the daughter of former Union minister Sushilkumar Shinde. 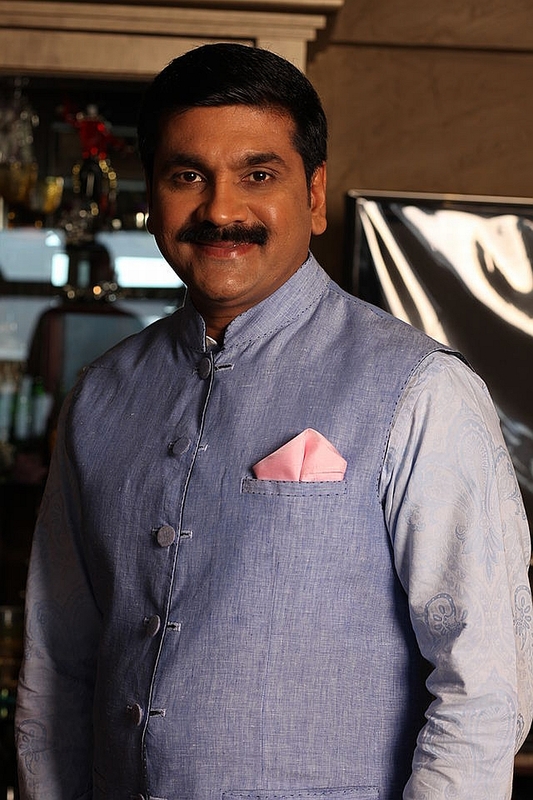 NCP's Sachin Ahir loses in Worli. He was pitted against Sunil Shinde of the Shiv Sena. 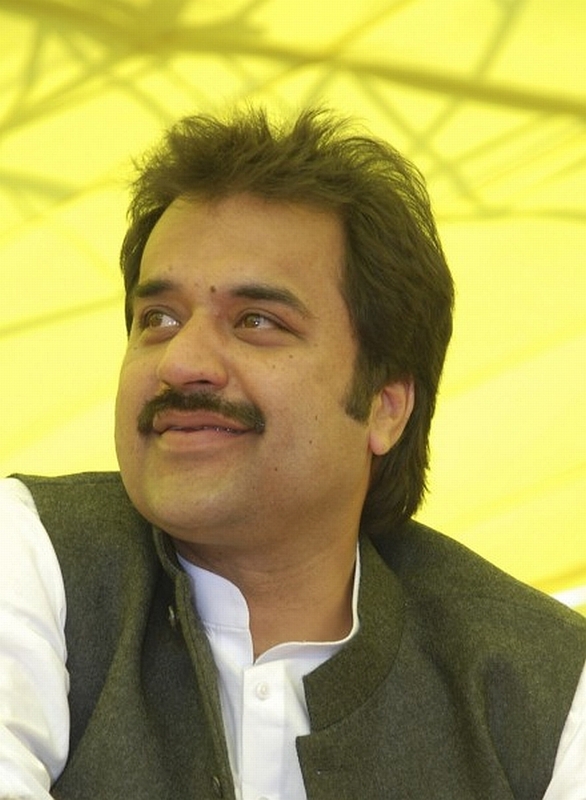 Haryana Janhit Congress's Kuldip Bishnoi wins from Adampur. Gian Chand Gupta of the BJP registers a thumping victory by defeating INLD's Kulbhushan Goyal by a margin of over 44,000 votes. 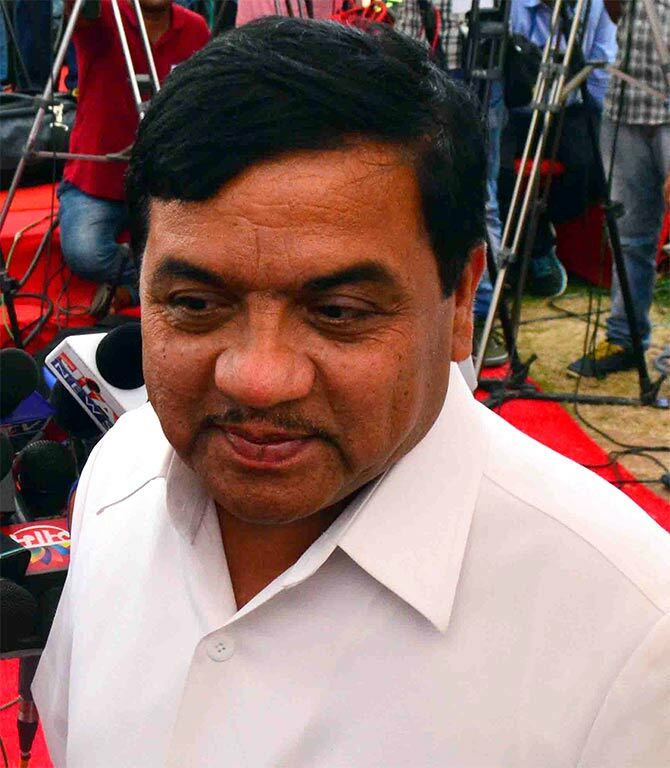 Sena-NCP govt with Congress support in Maharashtra? Narendra in Delhi, Devendra in Maharashtra? VOTE: Who will be Maharashtra's next chief minister?